Are you locked our your car in Kidderminster? Have you locked your keys in your boot in Kidderminster? Has your key snapped in the lock in Kidderminster? We offer professionally trained auto locksmith’s who use low cost traditional lock picking methods. If you have locked your keys in the car we will gain entry to your vehicle. If the car is locked and the car keys lost, the vehicle locksmith will first gain entry to the vehicle without causing damage. Services for keys locked in your car or your car boot typically start from £60 in Kidderminster. We are so confident in our work – we will not charge you if we cannot gain entry to your vehicle. Choose local – our average response time to the Kidderminster area is 30 minutes! Have you lost your keys in Kidderminster? Have your car keys been stolen in Kidderminster? Do you want or need a duplicate car key in Kidderminster? Do you want or need a spare key in Kidderminster? At Auto Lock Specialists we operate a completely mobile lost car key service. So wherever your car is, we can come to you, to make your replacement car keys on site. In a lost car key situation we will travel to your car and gain entry using non-destructive lock picking methods. We have the very latest lock picks for almost all makes and model of vehicle. We are trained in the fine art of lock picking which mirrors the use of a key in the lock to gain access and most importantly causes no damage. With state of the art laser key cutting equipment which we bring to your car we will cut you a new car key specifically cut for your lock. Finally, but most importantly using the latest programming equipment we will program the transponder chip in your new key to your vehicle allowing the car to start when the key is turned in the ignition. We can also de-programme any lost keys programmed to the vehicle for that extra piece of mind. We would always recommend that you have a spare key to your vehicle. On average a spare key is 75% cheaper than a new key in a lost key situation. Save yourself money now with a spare key. We operate a mobile service and come you a location of your choice. An example of the benefits of having a spare key now is the difference in price. To replace a lost key on a 2007 Ford Focus in the Kidderminster area is 73% more expensive than having a spare key. Can your Replacement Car Key be produced using our specialised cloning equipment? We have specifically designed mobile cloning equipment for making replacement car keys or spare keys which allows us to keep our costs down and pass that discount on to you. We can program the transponder chip in your new key allowing the car to start when the key is turned in the ignition using the latest programming equipment. We cover most car makes, models and commercial vehicles. We offer services to fix broken, damaged or replace lost transponder keys. We can re-programme the vehicles immobiliser and ECU to accept a new unique code. As a security measure, since 1995 electronically coded transponder chips are fitted in all car, van and motorbike keys. The transponder chip is embedded in the plastic body of your key - you may not have even known it is there. They are on average 4x1mm in length and either made from plastic or glass. It is this transponder chip that needs programming to your car in order to send a signal for your car to start when the key is turned in the ignition. Has your car key snapped in the lock in Kidderminster? Has your car key snapped in the ignition barrel in Kidderminster? 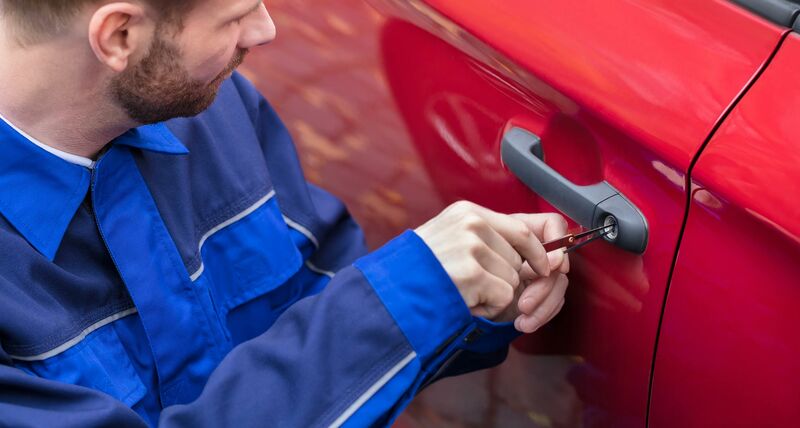 Our auto locksmiths are trained in the fine art of key extraction. This really is a fine art and takes a skilled knowledge of ignition barrels and door locks to extract the broken key and reassemble your lock. We will not replace your lock unless absolutely necessary. We take pride in our work and will use traditional methods to extract the broken key wherever possible. Do you need a new car key cut in Kidderminster? We offer a mobile auto locksmith service whereby we attend your car and cut you a new key using state of the art laser key cutting equipment.